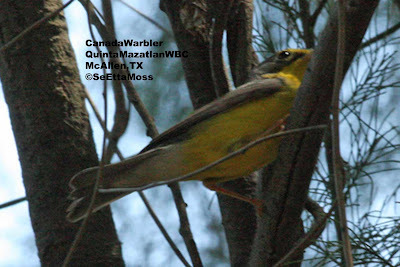 I have been enjoying not only Rio Grande Valley specialities but some migrating warblers these past 4 days. Today I birded Quinta Mazatlan, one of the "World Birding Centers" in the Rio Grande Valley. I was quite frustrated and almost left because there was so much noisy maintenance work being done to the grounds, partially because they had a big earth-day celebration there over the week-end. 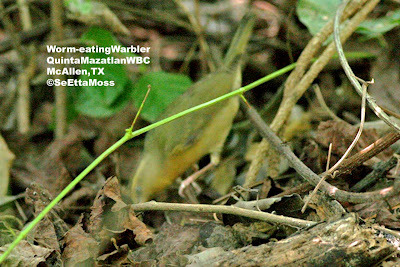 I am glad I hung in because I found this Worm-eating Warbler that is migrating through.